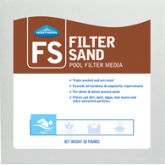 Northern Filter Media, Inc. is the leading US manufacturer of filter sand for the potable water, waste-water and pool industries since 1914. Northern’s Filter Sand was formed from a natural glacial deposit formed millions of years ago along the Mississippi River Valley. Northern Filter Sand resource is comprised of over 450 acres of sand and gravel to a depth of 110 feet. Once dredged, all of our filter sand is processed through our state of the art hydraulic classification plant for cleaning (triple washed) and pre-sizing. Then it is dried and sized to your specifications by sending it over a series of high frequency vibrating screens with effective sizes and uniformity coefficients guaranteed. 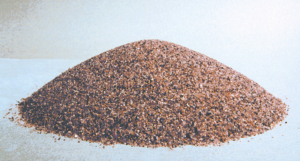 High quality filter sand requires the proper angularity, hardness, spherecity and size. Northern’s Filter Sand meets or exceeds all of these requirements which makes our filter sand the perfect filter media for all applications. NFM Filter Sand improves efficiency by reducing retention time and head pressure loss with greater flow rates. Ongoing quality control testing starting with the production process through to shipment ensures our media meets your specifications for uniformity coefficient and effective size. Packaging is available in 50lb or 100lb bags. Northern’s Filter Sand meets or exceeds AWWA B100-16 (latest edition) and certified under ANSI Standard 61.